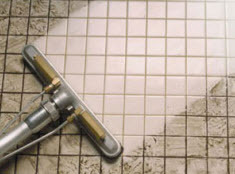 Leading Carpet Cleaning cleans and restores more than just your carpets! Our complete lineup of professional upholstery cleaning services will enhance the beauty of your fabric furniture and complement your carpet and rug cleaning. Professional upholstery cleaning removes stains, odors, pet hair, dander, dirt, dust and other allergens and pollutants. 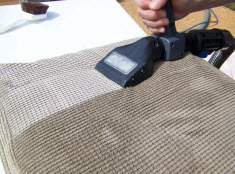 Our upholstery cleaning technicians are experts at cleaning all upholstery fabric types; natural, synthetic and leather. At Leading Carpet Cleaning, we use a specialized, two-step cleaning process to make your upholstery look and smell like new again! We use a specially formulated deep cleaning and sanitizing solution that breaks down minor stains and loosens dirt, grime, and other embedded substances that make your upholstery look dull, old, dingy and worn. Our special pH balanced fiber rinse protects your upholstery integrity while rinsing away loosened dirt, dust, grime and cleaning solution residue while neutralizing odors. Our specialized upholstery cleaning leaves your furniture looking and smelling clean and fresh. If your upholstered furniture is not in need of a deep cleaning but could use a thorough vacuuming to remove the long-term buildup of dust, dust mites, pollen, pet dander and other particulate allergens that can lead to allergy flare ups and respiratory issues, call Leading Carpet Cleaning. Our deep vacuuming service will help your upholstery last longer and help your loved ones breathe easier. 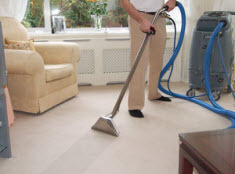 Contact Leading Carpet Cleaning today for expert upholstery cleaning.